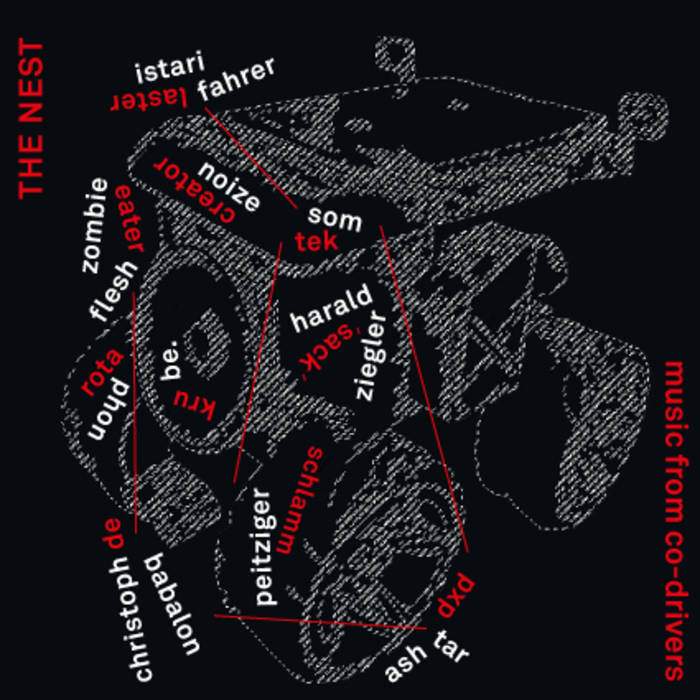 After the Nest`s album release “Music For Drivers” (Denovali) in 2012, it was just the next logical step to have other musicians remixing the material. Zombieflesheater, Schlammpeitziger, Krube. and Boris Hegenbart aka Rotaphon. while the other is blending and skipping through the original album. One piece is a straight dancefloor killer, the next a soulful listening adventure. in a way The Nest themselves would have never imagined. for the visual representation of the album.